As part of Clearway Gritting’s policy of continuous improvement, we are delighted to announce our accreditation for three key areas of our business; in Quality, Environmental and Health & Safety. These new process structures have enabled us to further develop our gritting services ensuring efficient, environmentally friendly and above all safe operations for all of our staff and clients alike. We have strived to deliver high quality gritting services across London and the South East for over 10 years. Our ISO 9001 Certification helps us to provide a strong illustration of our commitment to quality with a defined policy ensuring a common approach to our operations. In the unlikely event that an issue arises, we enhanced our Management System by including a bespoke Complaints Management Module, which allows us to rapidly resolve any issue. The accreditation supports us to deliver cost savings through improved operational efficiency and helps to build confidence with all our customers. 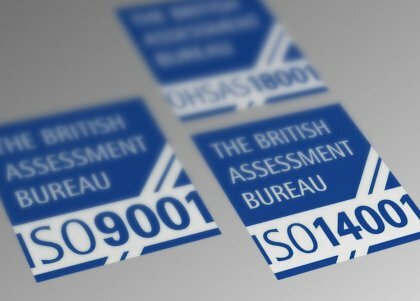 Adopting the same approach as the environmental standard, we have created a framework for providing a safe and healthy working environment leading to our ISO 18001 accreditation. In addition, our new guidelines illustrate how we have integrated health and safety policies into our overall management system. We believe this shows our commitment to providing a safe working environment whilst delivering improved gritting efficiency and cost savings through reduced operational risk. By combining the significant benefits of each ISO accreditation, our improved approach to all our clients ensures we are a high quality, environmentally sound, safe and truly cost effective gritting service across London and the South East.